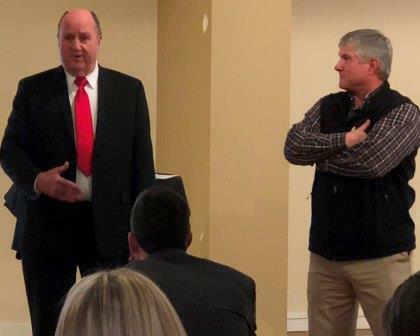 Lynden Transport Account Manager Dennis Flajole (right) and Brown Line Sales Manager Steve McQueary spoke to students at the University of Washington in December as part of an annual transportation seminar hosted by the Washington Agriculture and Forestry Education Foundation. It was Dennis' third year as a speaker at the seminar which Lynden customer Darigold sponsors each year. "The presentation was an excellent overview of the diversity of your organization and how important transportation is to both state and regional economies," writes Deborah Moore, Program Director for the foundation. "After the presentation the students had questions about issues we're facing in the industry," Dennis says, "but they were more impressed with the services we provide and the amazing places we provide them. Every year I have students express interest in working for Lynden. This year two people asked me for contact information and said they wanted to work for us in Alaska." 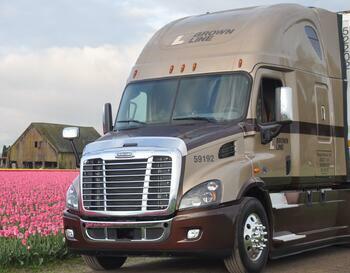 Brown Line and Lynden Logistics donated to the Growing Veterans Starbird Farm project in Mount Vernon, WA. 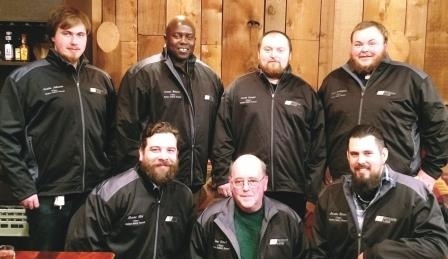 The Growing Veterans organization empowers military veterans to grow food at local farms in Lynden, Mount Vernon and Seattle as a transition after military service. The Lynden donation will help provide veterans with a commercial greenhouse on their Mount Vernon farm and modify the grounds for disabled veterans. 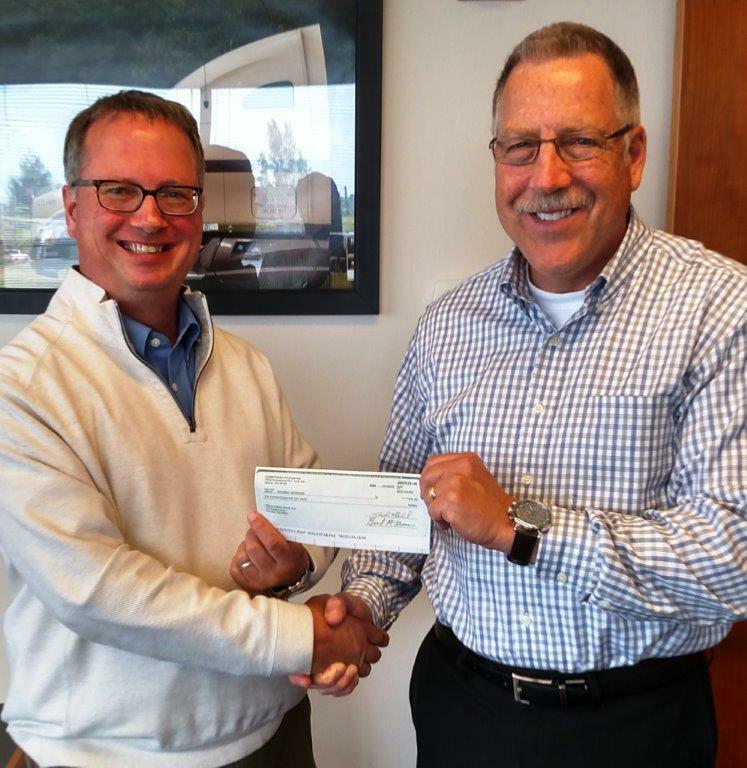 Above, Brown Line President Bill Johansen (right) presents the check to Andy Mayer, President of the Mount Vernon Chamber of Commerce. 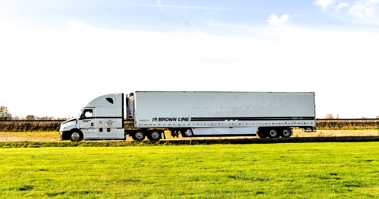 Brown Line, LLC, an industry leader in temperature-controlled truck transport, was selected as the first Vendor of the Year by Chuckanut Bay Foods of Ferndale, WA. The family owned and operated boutique bakery features homegrown ingredients in its cheesecakes and other products. 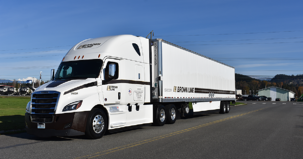 Brown Line provides truck transport of 180,000 pounds of Chuckanut’s temperature-sensitive cheesecake each month plus butter and cream cheese to grocery stores and food service companies in the Western U.S. and Canada. “The Brown Line team is honored to be selected as Chuckanut Bay Foods first Vendor of the Year. 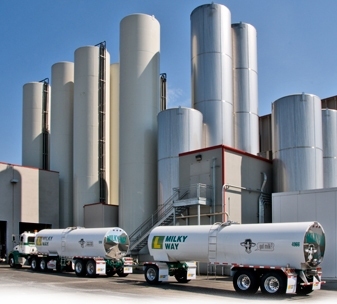 We appreciate the partnership that we have developed with Chuckanut Bay Foods since 2011 and look forward to contributing to the company’s ongoing success,” says Brown Line President Bill Johansen. 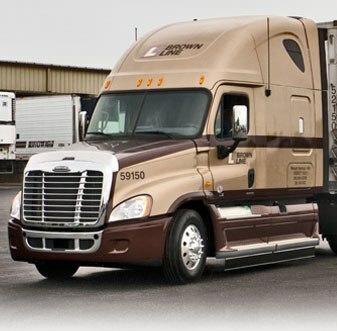 Brown Line is part of the Lynden family of companies. 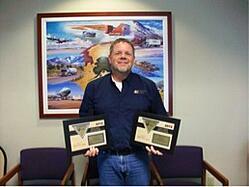 Lynden Air Cargo, Brown Line and Lynden International were each recognized for workplace safety earlier this year. 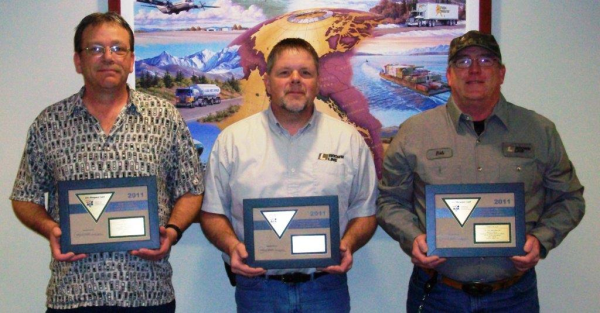 Lynden International celebrated no Occupational Safety & Health Administration (OSHA) recordable accidents in 2012, according to Human Resources Manager Kristie Duggan. 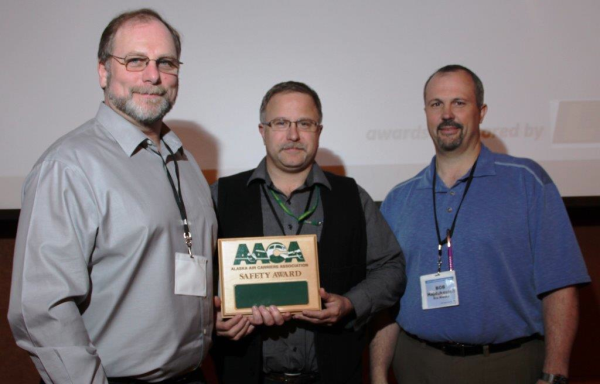 Brown Line received three awards from the American Trucking Association (ATA) in its National Truck Safety Contest. 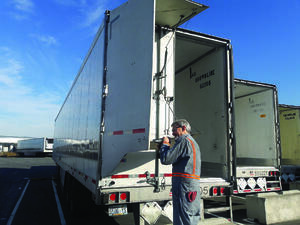 The company took first place in the general Commodities LTL/Line-Haul Division (up to 10 million miles traveled category); third place in the general Commodities LTL/Local Division and third place in the general Commodities LTL category.